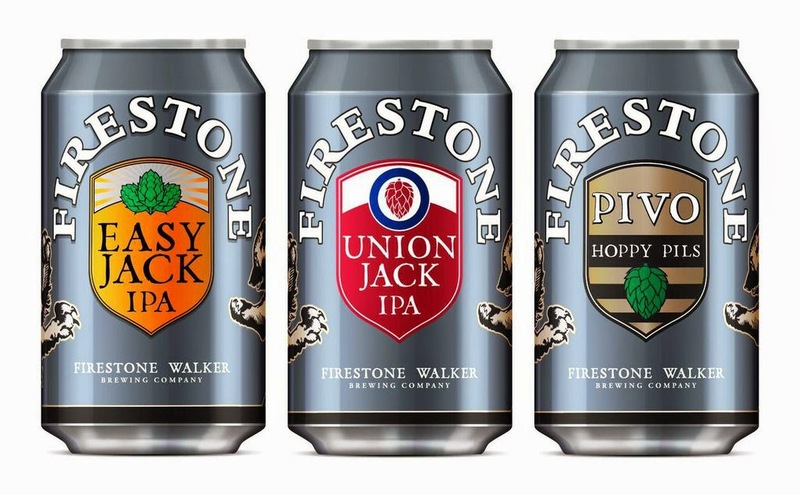 Indeed, Firestone Walker Brewing Company is set to release its first-ever canned Firestone beers, with Union Jack (IPA), Easy Jack (session IPA) and Pivo (hoppy pilsner) all being introduced in six packs starting in mid February. The brewery’s new canning line was made by leading beer packaging company KHS based in Dortmund, Germany. The canning line was first fired up last year to produce cans for the brewery’s 805 brand. The cans are dry-rinsed with ionized air and purged with CO2, then filled. The cans next run through a bubble breaker to remove any air bubbles before being surface purged with CO2 to eliminate oxygen from the head space. They are then seamed with a Swiss-made Ferrum seamer and inverted for a short period to detect any leaks as they exit the seamer. After a final rinse, cardboard carriers are auto-assembled around the cans. At full speed, the canning line produces 400 cans (12-ounce) per minute.